A dessert enjoyed worldwide, this is definitely one to add to the recipe books. Tiramisu literally means ‘pick me up’ which is exactly what this dessert does. A traditional Italian coffee dessert that is eaten at any occasion or after lunch, this ‘dolce’ is eaten cold. 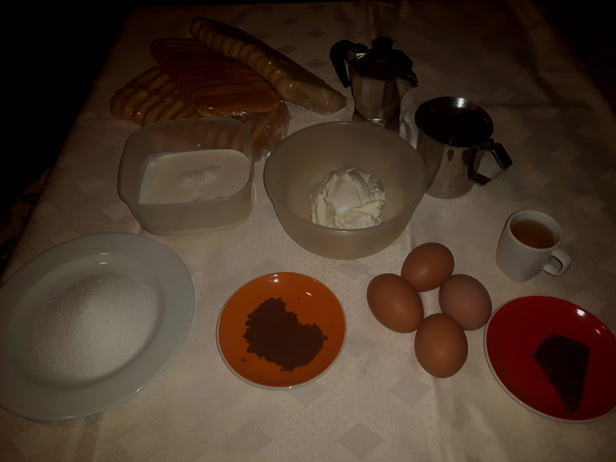 I was able to prepare my favourite dessert for myself after convincing Mamma to share her family recipe of tiramisu. The first step is to separate the eggs and place them in different mixing bowls. Beat the egg whites until they are fluffy. In the second bowl, beat the egg yolks with the white sugar to make a cream. Add the mascarpone and cream and continue to mix. Once all mixed, add your egg whites from the first bowl and continue to mix. In a separate bowl, stir your espresso with your rum. Dip each lady finger into the coffee mixture. Mamma doesn’t like to soak her biscuits as they become soggy. Place your coffee dipped lady fingers into your dish and add your creamy mixture on top. Cut up chunks of fondant chocolate so that every bite of creamy soft tiramisu, you get a bite of chocolate. 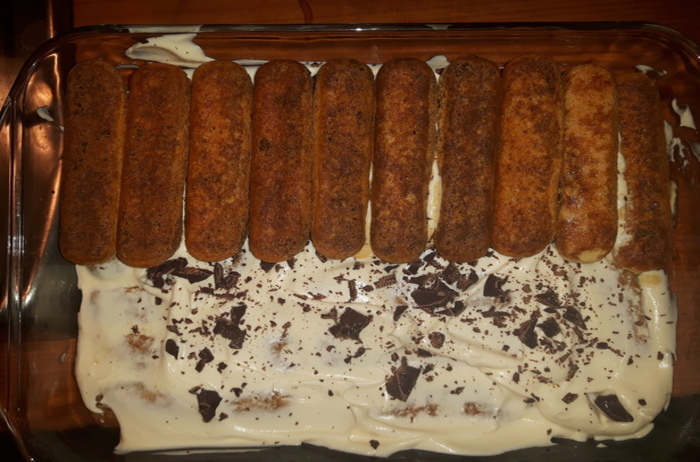 Continue to layer with your coffee dipped lady fingers and creamy mixture. Sprinkle with cocoa powder and add more chunks of chocolate fondant. Cover and place in the refrigerator. 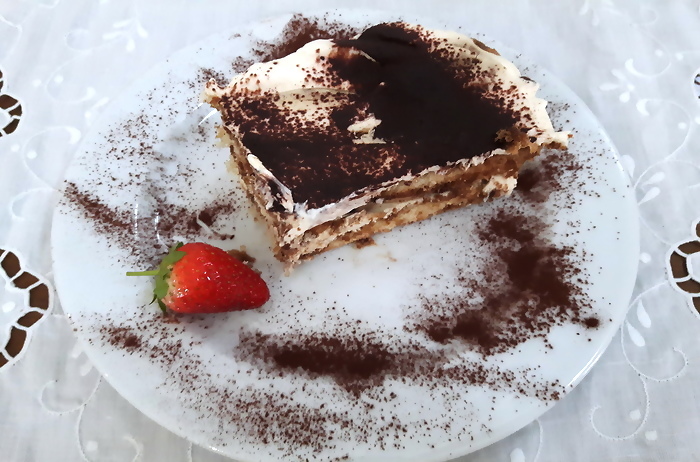 If you can resist, tiramisu is best eaten a few hours later or even the next day. Buonissimo. Travel addict with a zest for life. How many people have been the Crimson Dynamo? Can the DCEU be saved? Flash: Running out of ideas?